Most of the products of The Palm Center are of tropical and subtropical nature and therefore can be cultivated outdoors only under certain conditions and areas. Nevertheless, most of these products are suitable for indoors cultivation. With “indoors” it is meant inside of buildings. Often limited sunlight through the windows is insufficient for the cultivation of many plant species. For the cultivation of sizeable and attractive plants at indoors, designs have been made with high ceilings and with top ceiling windows. Mankind has explored ways to feel close to nature after having been separated from nature as a result of industrial revolution. Resultantly “Winter Gardens” and “Conservatories” have been created. These are indoor areas with sufficient lighting and heating, suitable for the cultivation of various plants. Generally “Winter Gardens” are annexed to living rooms, e.g. an annexed balcony, or a part of the living room units or even a detached Green House type. For designing of Winter Gardens, heating, insulation, air circulation need to be considered in addition to sunlight reception. In the so-designed indoor garden environment, to maintain the desired microclimate a separation e.g. a door, from the other spaces of the house is required. A common mistake made in our country in the maintenance of green house type winter gardens, is the provision of insufficient air circulation. This is why more plants have difficulty and often die during summer months as a result of too high temperatures in such areas as compared to outdoors. It is also obvious that at higher temperatures many soil and plant pests are more active. It is possible to keep any type of plant in a suitable winter garden. However, care should be taken in plant type selection. Fast growing trees, plants growing easily outdoors, or those which can get stressed indoors, should be avoided. Poisonous plants and those having thorns are also not suitable for indoors, particularly in homes with young children and pets. Often personal preferences govern the choice of plants. However, the requirements of the plants and their harmony should also be considered. It is obvious that desert plants will not be suitable in a high temperature humid environment. We have chosen some plants for you, that suitable for Winter Gardens and Conservatories from our production range. You may wish to widen this selection; it is all depend of your creativity and knowledge of plants. Chamadorea palms are suitable for cultivation indoors and in winter gardens. Bamboo Palm (Chamaedorea seifrizii) is a member of this family, most resistant to sunlight. 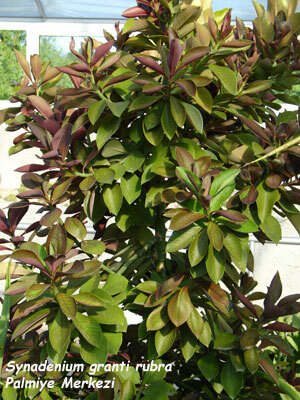 Others prefer shady environment and their leaves get damaged when receiving direct sunlight. Bambu Palm (Chamaedorea microspadix) and Stemless Chamaedorea (Chamaedorea radicalis) are the two frost resistant members of this family. These can be conveniently selected in areas with limited heating. 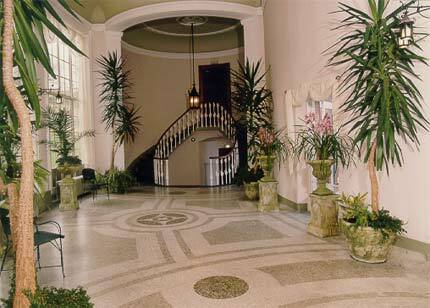 Parlor Palm (Chamaedorea elegans) is suitable for small and limited height areas. Majestic Palm (Ravanea rivularis) and Fish Tail Palms (Caryota mitis, Caryota urens) are attractive and interesting palms for keeping in high ceiling indoors spaces with plentiful light. For large and high ceiling spaces, in addition to the above species, Giant Strelitzia (Strelitzia nicolai), Red Banana (Esnete ventricosum maurellii) and for the ambitious, Travellers Palm (Ravanala madagascariensis), are indispensable for creating a tropical atmosphere. Spineless Yucca (Yucca elaphantipes) known as Indoors Yucca without thorns, Blue Echeveria (Echeveria elegans) as a small plant. 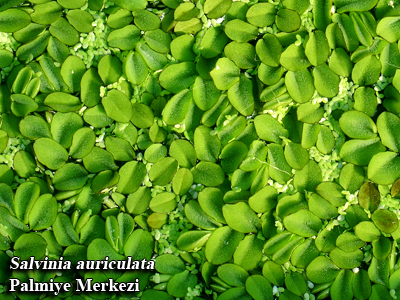 Floating Plants: Water Cucumber (Pistia stratiotes), Water Hyacinth (Eichornia crassipes) and, Water Lentil which available in our country, and its tropical cousin Eared Watermoss (Salvinia auriculata) can be selected. Different coloured Calla Lillies (Zantedeschia aethiopica) are attractive plants which can also be used. There is a large selection of tropical fruits is available for large Winter Gardens. Banana species (Musa paradisiaca), known widely and with edible fruit, are at the top of the selection. For those who prefer challenge and have some experimentation with plants we recommend Pawpaw Tree (Carica papaya). Kumquat=Fortunella (Citrus fortunella microcarpa), Yellow Guave (Psidium guajava), Strawberry Guave (Psidium littorale) are suitable and easily fruit bearing trees at indoors. Kumquat (Citrus fortunella microcarpa) and Natal Wild Plum (Carissa grandiflora), Peppino (Solanum muricatum), Dwarf Pomegrenade (Punica granatum nana) are suitable for smaller Winter Gardens. Yellow Flowered Bauhinia (Bauhinia tomentosa), Red Flowered Cestrum (Cestrum elegans), Purple Flowered Hibiscus (Hibiscus pedunculatus), African Honeysuckle (Halleria lucida), Rosa of China (Hibiscus rosa sinensis), Turks Cap (Malvaviscus arboreum), Plectranthus species (Plectranthus eckmanii, Plect.madagascariensis), Solanum species (Solanum rantonetti, Solanum rantonetti variegata), Tibouchina (Tibouchina multiflora), Indian Temple Tree=Frangipani (Plumeria alba, Plumeria stenophylla) and Bougainville varieties (bougainvillea glabra and hybrids) are our recommendations for the titled groups. 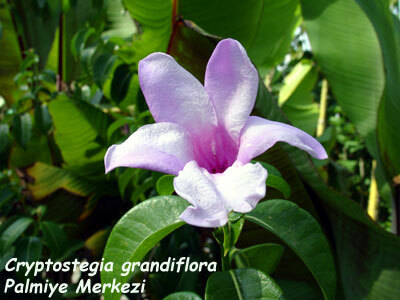 Datura(Datura ve Brugmansia), Rubber vine (Cryptostegia grandiflora) and Synadeniums (Synadenium grantii ve Synadenium grantii rubra), Morning Glory Bush (Ipomea fistulosa) are not included in the above recommendation as they are known as poisonous plants. Nevertheless these plants are widely used in Winter Gardens of homes without young children and pets as they are very attractive. It is possible to extend the above selection enormously depending on the person’s interests to plants, aesthetics and creativity.